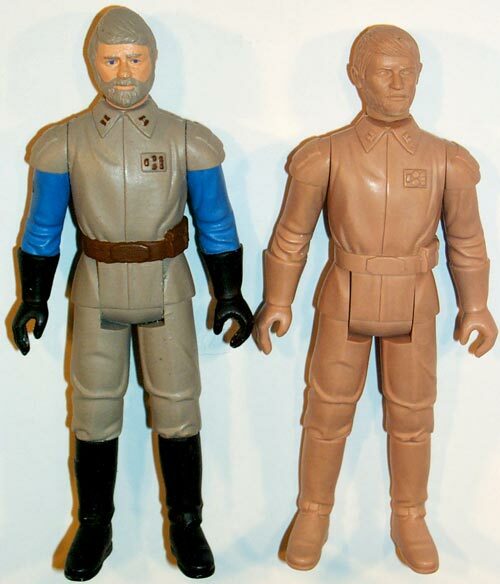 Original sculptings for the Kenner action figure line are among the Holy Grails of Star Wars prototype collecting. 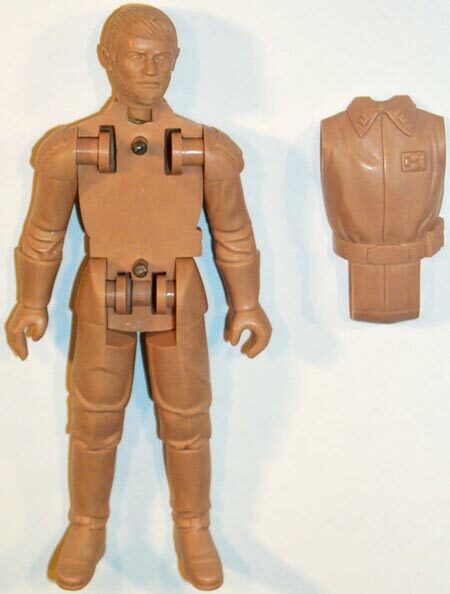 In general, two distinctly different materials were used to sculpt the action figures: wax and a very hard, plastic-like material called acetate. 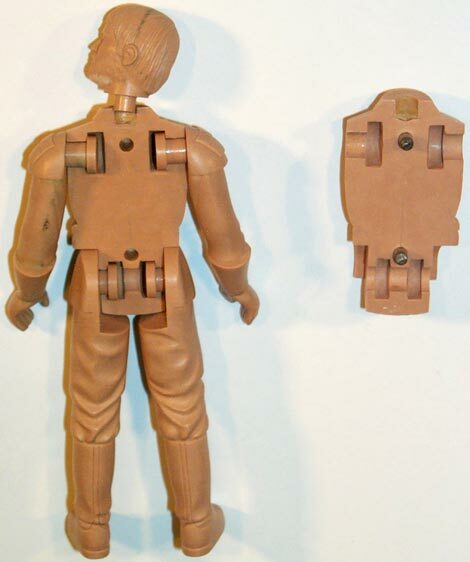 A staple sculpting material among certain old school toy sculptors, acetate was only used by one of Kenner's principal contract artists (named Bill Lemon), to whom they farmed out a fair amount of action figure work. These photos show the acetate sculpt for the General Madine figure. This first shot shows it beside its production counterpart. As you can see, every detail of the figure's body matches the detail of its source prototype. However, the heads of the two pieces appear to differ somewhat. This is noticeable particularly in the different shapes of the two heads: where the head of the production figure is slightly egg-shaped, that of the sculpt is rounder. At some point during the prototyping process, the head must have been reworked. This was not an uncommon occurrence; figures were often worked on by several different sculptors before being finalized. According to Kenner sources, Lemon's sculpts were often re-done in wax after he'd mailed them to Kenner, so that their rather hard lines could be softened up somewhat. Here you see the front of the figure with one of its torso halves removed. All acetate sculpts seem to have been constructed in such a manner. (In contrast, wax sculpts typically have one-piece torsos.) The limbs and head are attached to the torso via disc extensions, which fit into corresponding grooves in the figure's interior. You can see how this construction was sometimes carried over into the hardcopy stage by viewing the photos seen here. Finally, we have the back, seen again with one half of the torso removed.